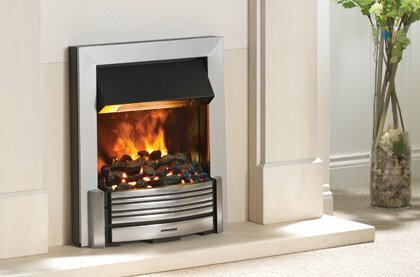 Plug-in and go - it doesn't get much easier than an electric fire! In the last few years electric fires have really turned a corner and now feature some of the most realistic flame effects available at your fingertips. Not only this, the fuel beds are becoming smaller thanks to LEDs, so the inset depths are much less compared to several years ago. We have a selection of hearth mounted, wall mounted, cassette, built-in and firebaskets available in electric, so there has never been a better time to make the switch over to an electric fire. Stop. Forget everything you know about electric fires. Forget the red bulbs, ribbons and spinning reflectors of yesterday; gone are the days of such unconvincing flame effects. A new breed of electric fire has arrived, incorporating a new generation of flame effects that will astound you with their uncanny resemblance to the real thing. LED, LCD and mesmerising mist flame effects are just some of the options available, combining warmth and ambience with synergistic brilliance. The range of electric fires exceeds the range of electric stoves, you can choose from freestanding, built-in, cassette, inset or wall mounted installation, not to mention the range of effects and designs available. Hearth mounted electric fires are generally defined as those which are installed at floor level and are set either within a stone or wood mantel or flush against a tiled, stone brick or other non-combustible surface. This offers new possibilities for where you could place your electric fire. Many smaller fires have been designed to be installed into the standard fireplace openings typical in many British homes, whilst larger fires may require some building work to construct a special opening. 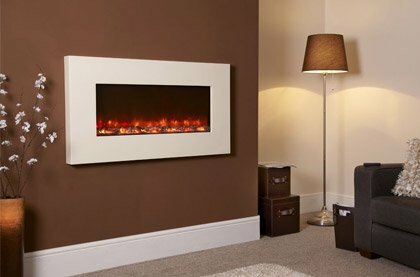 Fireplace Products offers a wide choice of traditional and contemporary models to suit most homes – and the majority have several frame options. 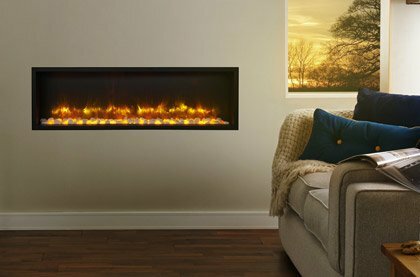 Electric fires don't require a chimney or flue and many are easily installed. We sell products from leading manufacturers as: Dimplex, Burley, Broseley, Flamerite & Suncrest. 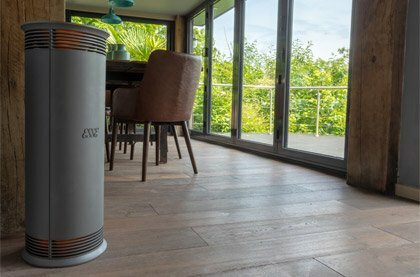 Separated into simple categories to help you find your ideal fire quickly and painlessly All electric appliances run on standard UK Voltage, which may differ around the world. If you wish to purchase one of these products and are overseas, and wish to use it there, please contact a member of staff for additional information.